Ok, we admit it. It does (occasionally) rain here in Cornwall! So, when it does, be prepared with our list of top attractions of the great indoors. 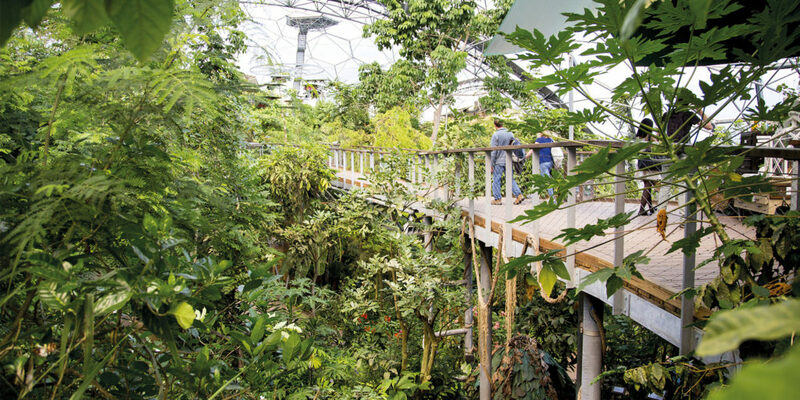 Don’t miss Cornwall’s world-famous attraction, where the tropical, subtropical and temperate worlds meet. Most people make straight for the Rainforest and Mediterranean Biomes, but don’t overlook the outdoor space, riddled with shortcuts, hideaways, stepping stones, spy-holes and sandpits. Easily accessed on the A30 at Cornwall Services, Roche, Indoor Active is the ideal destination for a rainy day, wherever you might be in Cornwall. Both kids and grown-ups will love ‘Clip ‘n’ Climb’, a fun and safe climbing experience, while the young ones can let off steam at the Soft Play centre. Check out the enthralling National Maritime Museum Cornwall in Falmouth, offering stunning galleries and fascinating exhibitions all year round, with hands-on activities and workshops for the children and lectures for grown-ups too. Spending time behind bars might not sound tempting, but a trip to Bodmin Jail makes a great family day out. Experience life under lock and key in the historic county jail; a memorable day that’s both exciting and educational, with captivating exhibits including a fully-functioning execution pit! Struggling to find fun new things to do with the children is over. At Rollers Roller Disco your little ones can zoom around, have a blast and wear off some energy to boot! 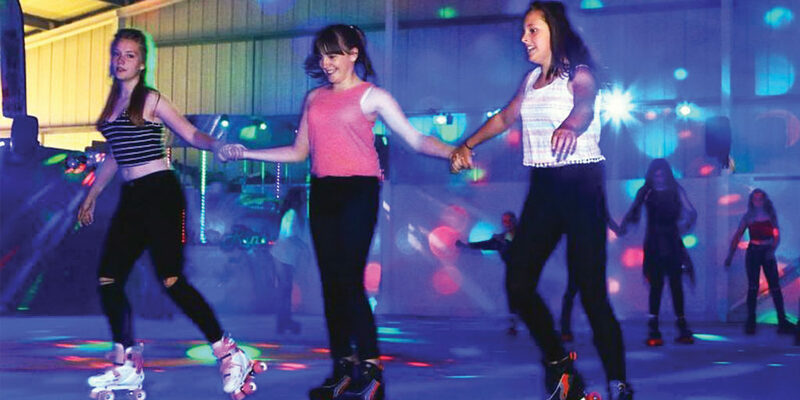 Family discounts are available, and with no need to book, just turn up, skate up and go! Some might be surprised to hear that Cornwall is the home of modern global communications and Porthcurno is where it all started. Visit the Telegraph Museum to enjoy a range of fun activities. Your little monsters will have hours upon hours of fun, and while you’re there, admire the breath-taking scenery. If the sun does come out, stop by the Minack Theatre.